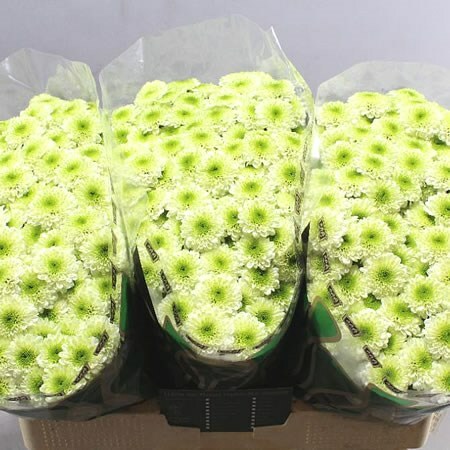 Solange is a round white variety of miniature santini chrysanthemum with a green centre. All santini chrysanths are multi-headed, 55cm tall & wholesaled in 25 stem wraps. A superb flower with endless possibilities in floristry.